WARRIORS and Baroka midfielder Talent Chawapiwa is delighted to be called up again for national duty. 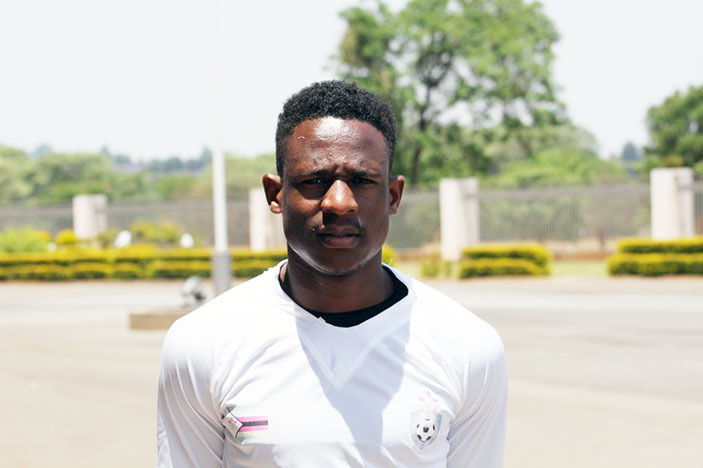 Chawapiwa has become a regular player under Sunday Chidzambwa as the Warriors look set to clinch Group G in the 2019 Afcon qualifiers. The senior national team travel Liberia on 18 November to play their fifth game with a chance to confirm their place in Cameroon. The Baroka star says he is always honoured to play for the nation. “Playing for the national team is a great honour. I’m just grateful for each opportunity l am given. “It is my goal to deliver the best of my abilities. What l want is to make history. “I want to create a name for myself and also raising our country’s flag high that’s why l put my all in every game l play,” he said. “This is one of the best moments that everyone wishes for in their career and l’m glad that l’m having that moment here. “The opportunity of representing the country is humbling. Chawapiwa added that he is ready for Liberia. “Next we are facing Liberia and we have drawn some positives from our last game against DR Congo. And it’s obviously to take our chances. “We want to carry that into the next game. We should also collect maximum points so that we can qualify with a game to spare,” he said.